For questions about being a poll worker, where the polls will be located in the City of San Diego, or whether you’re registered to vote, call (858) 565-5800 or visit www.sdvote.com. 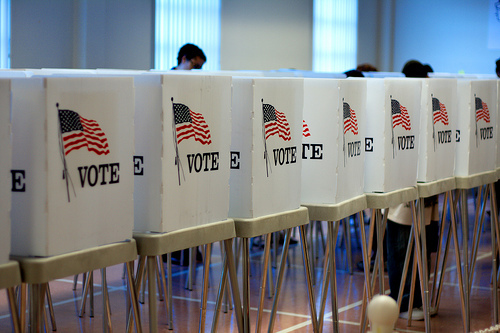 The Special Municipal Election will fill the vacancy left after elected Mayor Bob Filner resigned. Mail ballot voting and early voting is already taking place, and 572 polling places will be set up early Tuesday, Nov. 19 in neighborhoods. Voting will take place on Election Day from 7 a.m. through 8 p.m. for the city of San Diego’s 675,000 registered voters. I thought you needed to be able to read and understand English before you could be a citizen, except of course for naturally born citizens educated by the public school system? If so, why do we need Poll workers who speak foreign languages?